To celebrate the booming growth in the Kansas City Crossroads District, VI's Kansas City office partnered with the Rieger Hotel Grill & Exchange, the 1914 Main Street Apartments, that will be starting construction this month, and the Band Robe to host an outdoor First Friday concert on Friday, September 5. The event featured specialty grab-and-go sized food, like lamb ribs and BBQ chips and delicious drinks from the Rieger. The 1914 Main Street Apartment property owners were on site to display building plans and meet with potential residents. 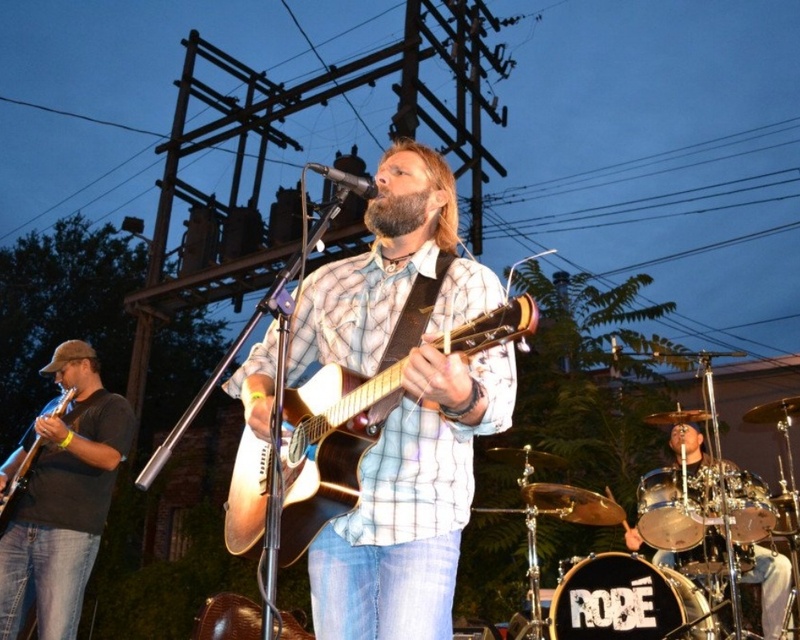 The Band Robe played an outdoor concert to entertain guests, First Friday participants, and our downtown and Crossroads neighbors. Seven lucky guests won gift cards valued from $25 to $100 to the Rieger and Manifesto. VI hosted the event to celebrate our neighborhood partners and to build excitement around the upcoming developments in our area, including the new 1914 Main Street Apartments and the Kansas City Street Car – both of which are scheduled to be completed in Fall 2015. VI enjoys participating in community events to help promote local businesses in the Kansas City Crossroads district as well as entertain clients. Since construction on the 1914 Main Street Apartments is now beginning, VI’s future First Fridays will be moved inside. We look forward to hosting more First Friday events and being involved in the Kansas City Community!